EMAR Offshore Services, a Netherlands-based dedicated maritime service company, welcomed a new vessel to its fleet. The Damen ASD Tug 2811, named E-TWO, was ordered in November 2018 with a special request for the installation of an additional FiFi1 system, aft winch and hydraulic crane. This ASD Tug 2811, one of Damen Shipyards Group’s ‘next-generation’ harbour tugs, will be deployed for assisting in the berthing and unberthing of industrial vessels in major ports. Johan van Beek, Managing Director of EMAR Offshore Services, has big plans for the vessel; “This expansion of the fleet enables us to ramp up operations in Africa and fully establish ourselves as a leading marine services operator in the region”. 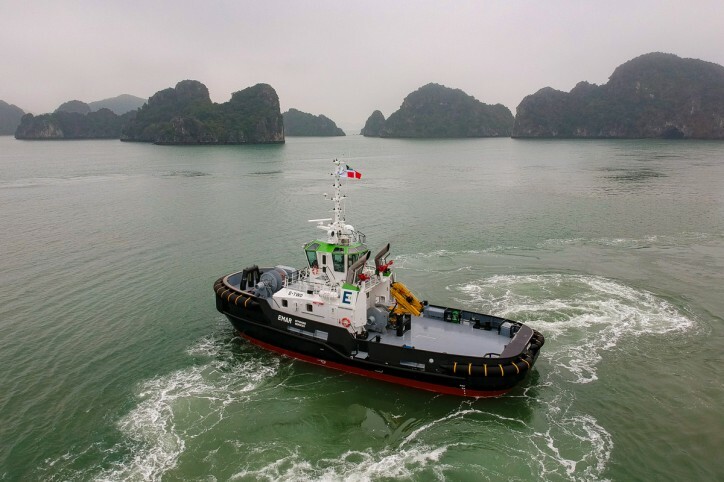 The ASD Tug 2811 is an upgraded version of the ASD Tug 2810, further optimised with features that include full compliance with the new stability regulations, a modular marine NOx reduction system and the Damen Digital Platform to maximise performance and reliability. Its improved power and manoeuvrability allow the vessel supreme performance even in restricted waterways. E-TWO is the fifth vessel Damen has supplied to EMAR Offshore Services and is the fourth tug ordered directly by EMAR. 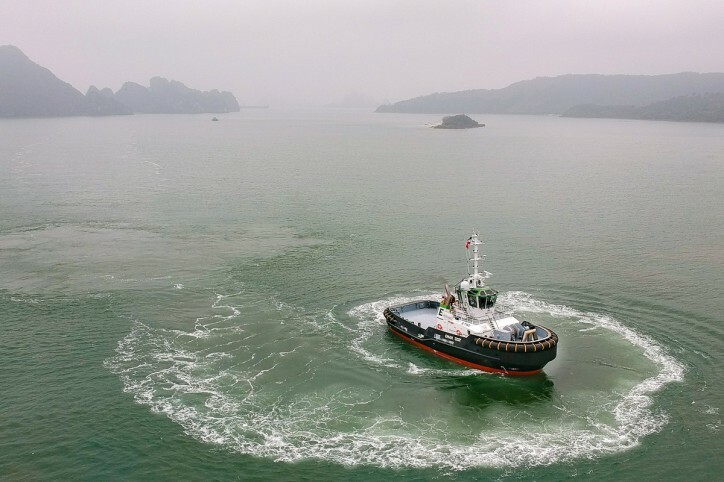 E-TWO is underway to China to collect her first tow, a new 75x25 metre flattop barge for EMAR named E-Barge 1. Purchased from Damen Concordia Shipbuilding, E-Barge 1 will be towed to the Middle East to be used on marine construction projects as part of the establishment of EMAR’s position in the region. A sixth Damen vessel is now under negotiation and EMAR hopes to reveal this news very soon. EMAR Offshore Services was established in 2010 and today operates all over the world, with a current focus on the regions Caribbean, South America, West Africa, Middle East and Russia. EMAR supports the oil & gas, construction and mining companies with their need for towage knowledge and equipment.